This is an important route for Redondela. 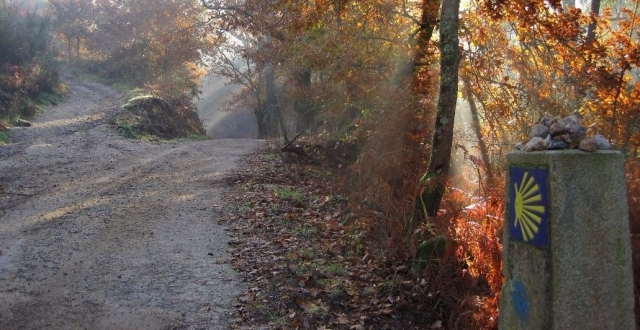 "Senda da Auga" covers parts of the Camino de Santiago and, of course, ancient parish roads. PSdeG from Redondela recently denounced the lack of attention that affects this historic and traditional route, which runs through the old channeling water from Eiras reservoir to Vigo. The main problem for walkers in general and pilgrims in particular, is the large number of weeds piled up to the edges of the road. In some areas the weed is very annoying, but in others the Senda da Auga is practically impassable. The socialist mayor Mauro Alvarez said that this state of the route is "regrettable" and expects to be put solution soon, because the problem is worrisome in summer dates with a lot of people in the town. According to the mayor, there is a clear lack of management, in relation to the conservation of this type of roads, including routes of the Camino de Santiago, by the local government of PP. 0 reviews Distance to Santiago: 85 km.